The ad agency for Brinson Partners required a new approach to viewing typically boring financial graphs for an annual report. 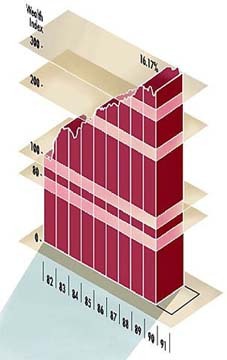 Randal Birkey created 3D versions of the graphs to increase visual interest to the layout and design of the report. The files were created and delivered in Adobe Illustrator format.